It’s party time! Come and celebrate with us as we bring you the Pollen Party online pokie game powered by MicrogamingTM. 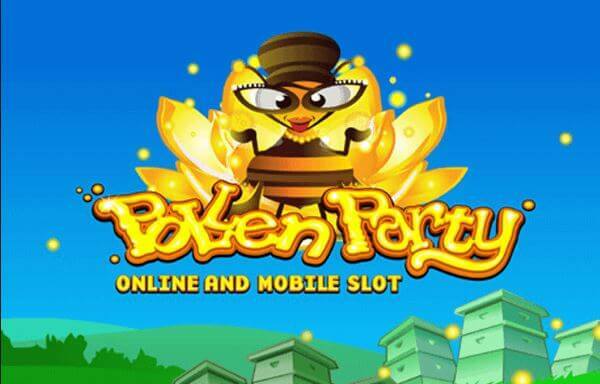 Pollen Party is a 5-reel, 720-ways-to-win online casino game. This online pokie is available to play on all devices including smartphones. Symbols players can come across spinning on the reels include; Royal Jelly, Honey Jars, Beehive, Honey Cereal, Honey, and a group of Bees. Betting in Pollen Party starts from as little as 0.76 $AUD to $AUD 403.75 per spin. This online pokie game comes with two bonus features. The first one is the Babee Bonus feature which is triggered when three or more bonus scatter symbols appear anywhere on the reels. You will be presented with 20 items to choose from. 17 of them will offer you cash prizes, two offering you pop items which end the bonus round and one Babee pop-blocker. 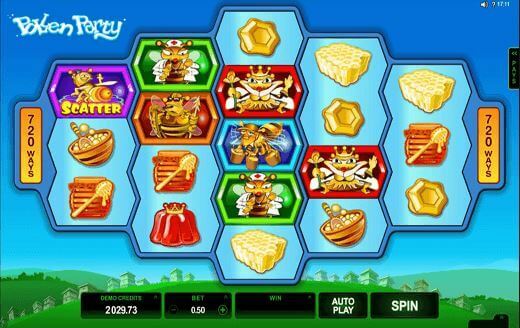 The Free Spins feature is triggered by getting three or more Bee Scatter symbols and you will be awarded 12 Free Spins. Pollen party is a colourful, fun and a vibrant online pokie game that all Australians can enjoy on both desktop and mobile devices at the top casino online. You can win up to 220 000 coins as well as 440 times your stake on each spin.